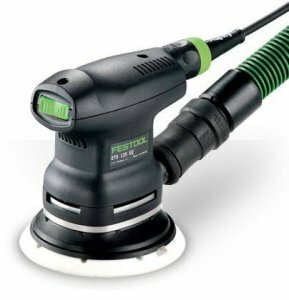 Festool is known to be at the top of the line when it comes to most woodworking tools. I say most, because I don't want to start any brand wars. So who wouldn't want to win some of their tools? You know the saying, Its takes money to make money, well in this case, it takes Festools to win Festools. You need to write a Festimonials or Festool testimonial in order to qualify. You have until October 15th, 2008 to be entered into a random drawing for a free ETS 125 EQ sander. If you dont own any Festool products, dont feel bad. Every month The Wood Whisperer gives away a free Festool product. You can enter his random drawing once a month. This month they are giving away a DTS400 Sander, a shop apron, and a mini-systainer.